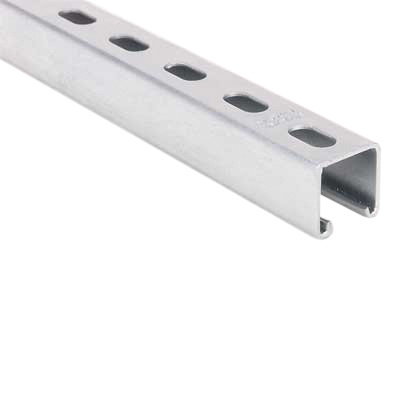 Thomas & Betts Superstrut® Metal 1-sided channel is suitable for use in support and framing applications and is engineered with minimum amount of labor and pieces. The channel features durable steel construction with corrosion-resistant pre-galvanized finish. The 12-gauge thick 1-sided channel has a dimension of 1-5/8-Inch x 3-1/4-Inch x 10 ft. The 1-sided channel with 2-Inch slot pitch, has half style 9/16-Inch Dia x 1-1/8-Inch slot.